1. Soak in the last first day of high school. The reality of "the last first day" hits hard when you pull into your parking spot and get out to get your book bag. This is the very last time you will walk through the doors of your high school by your friends with an incredible year ahead of you. It may not seem like a big deal now, but it is the kick start of many many lasts and has a lot of significance. Just soak it all in. Enjoy going to homeroom and getting your new schedule. Take a picture with your friends in front of the school or in front of your parking spots to commemorate the day. While some people may have already had their "last first day," treat everyday like that very first day because in any given day of Senior year, there is bound to be at least one "last." 2. Go crazy at pep rallies and sporting events. There is nothing like sitting in the senior section at the pep rallies and chanting your class year. The whole school looks up to you, respects you, and wants to be like you. You set the atmosphere in the room. Don't worry about what others think of you, have a blast!! Take videos and pictures with the section, friends, and of the entertainment on the gym floor or field. Participate!! Dress up, wear face paint and glitter, go all out!! You will regret it if you don't. Enjoy yourself and don't worry about the details and drama. Go to more sports games other than just basketball and football. Support all teams because they all represent your school and need your encouragement. 3. Go to the dances or plan a fun night with friends. If you have even an ounce of desire to go to homecoming, prom, formal, or any type of function your school has, GO!! Get a group of friends together and just have fun! Don't get caught up in the details because you won't remember what you were stressing over in two months. Make the most of your time because once the end of May comes and you walk across the stage, the opportunity for these kinds of experiences will have vanished. Senior year is only going to be what YOU make it. I feel that so many Seniors go into their last year with the "movie perfect," Senior year in mind, when in reality, it most likely won't be how you expect. Stress, hard decisions, and sadness are all things you will deal with, on top of many other things, but you just have to roll with the punches and look at the positives. Take pictures of life, of fun, of tears, of memories, just capture it all. 4. Stay involved and try something new. When Senior year comes around, you may feel the urge to not participate in school functions or even in class. This is commonly known as senioritis. (It's real y'all) Fight that feeling by getting involved in something new such as joining a new club, creating a study group, or even making weekly plans with a friend. Do something to keep yourself interested and motivated when those lulls and bouts of discouragement hit. You have one year left in your high school life, how are you going to live it? Don't forget to capture and document your new experiences and adventures. After May, many opportunities and connections will be gone, so take advantage of them now! 5. Create strong relationships with teachers and administrators. Having good relationships with teachers and administrators has many many benefits, plus they can just be great friends to have at school in case you ever need anything. Your high school staff will be your basis for networking. They all want you to succeed in life and most will do all they can to help you along the way. Teachers and administrators will be ecstatic to help you out with references and advice in the near future, so take this last year to really solidify those relationships. Hey! Even get a picture with your favorites through the year (they usually don't mind)!! 6. Have awesome Senior pictures taken. Capturing this time in life is so crucial. It may not seem like a big deal right now, but in the coming years you will be grateful to have some nice quality pictures to look back on. 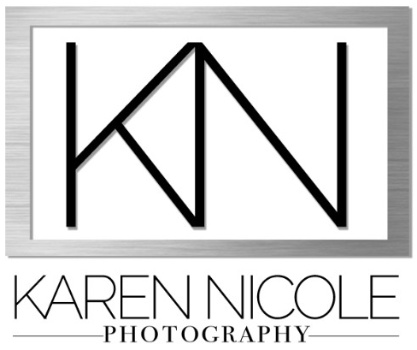 At Karen Nicole Photography, we focus on preserving personality, uniqueness, and natural features. This moment in your life is so unique and so precious and it deserves to be frozen in time. Enjoy designing your photo shoot and take lots of behind the scene pictures to commemorate the special experience.